Lenovo has launched yet a new smartphone called Lenovo Vibe C with some midrange specifications and features, though it's 4G LTE enabled. Runs on Android 5.1.1 lollipop and powered by Qualcomm MSM8909 Snapdragon 210 processor. Below is the full specifications and price of the phone. 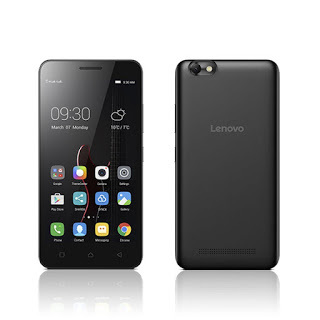 Lenovo Vibe C specifications. Lenovo Vibe C released date. Lenovo Vibe C price in India, China, Nigeria, Kenya.